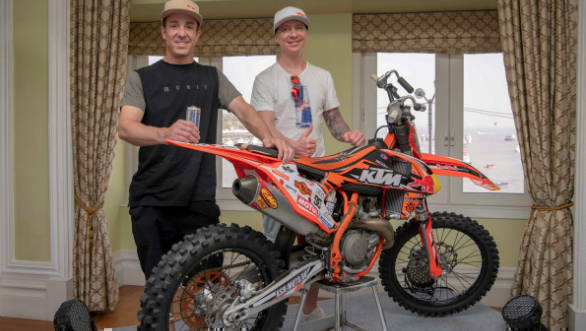 Red Bull freestyle athletes Robbie Maddison, Alexey Kolesnikov and Tom Pages unveiled the motocross bike that will be used to perform gravity defying stunts at the Gateway of India on February 2, 2019. 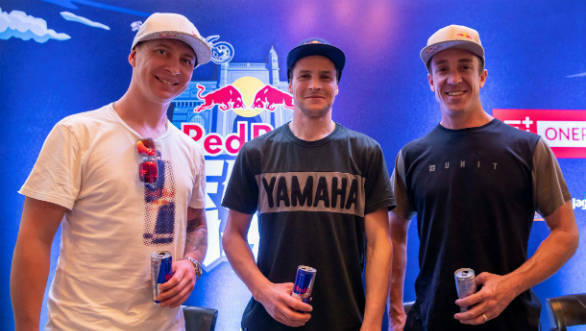 Part of the Red Bull FMX Jam, Mumbai, these riders will be joined by other international athletes in what promises to be a stunning display of freestyle stunts. Speaking at the announcement of the event, Robbie Maddison is excited to perform in Mumbai. Maddison has been performing death-defying stunts for the last 15 years, and only recently jumped a 10-storey replica of the Arc de Triomph in Las Vegas. He holds many world records and is recognised as a stunt double in Hollywood movies. Tom Pages is a Red Bull X-Fighters World Champion while Alexey is the first rider to have landed a backflip in Russia. The duo is happy to visit India and said that they were looking forward to display their talent to the local crowd. The FMX Jam, Mumbai will begin at 11am. Be sure to catch your spot and witness some of the best freestyle motorcycle athletes in the world.